Stuart Haygarth, Flame, 2013. Coloured crystal glassware, light fittings. Private commission. Photo courtesy Carpenters Workshop Gallery. 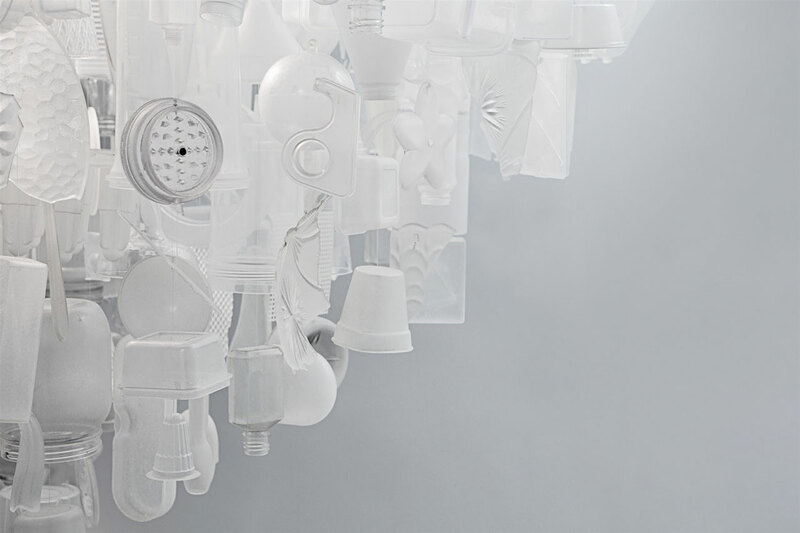 British artist Stuart Haygarth is above all else a storyteller. His practice revolves around commonplace or discarded objects which are diligently collected, meticulously categorized and skillfully assembled into elaborate sculptures that whimsically imbue the banal and overlooked with beauty and grace by turning randomness and waste into order and symmetry. For the artist, no object is unredeemable. 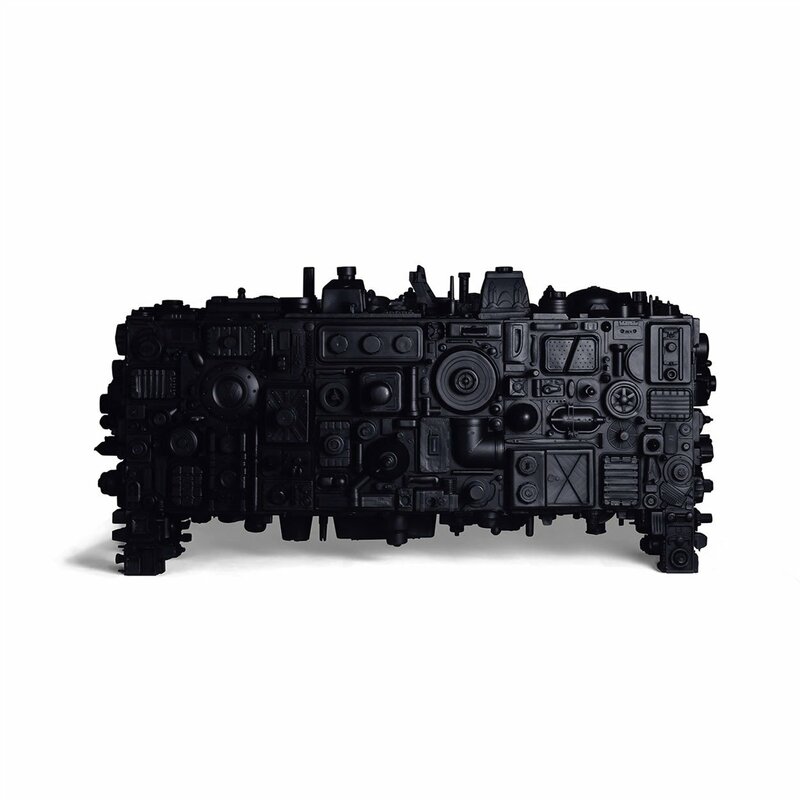 In Haygarth’s hands, salvaged prescription spectacles, exploded party poppers, smashed car wing mirrors, ceramic figurines, and laboratory equipment become sculptural marvels of exquisite refinement. 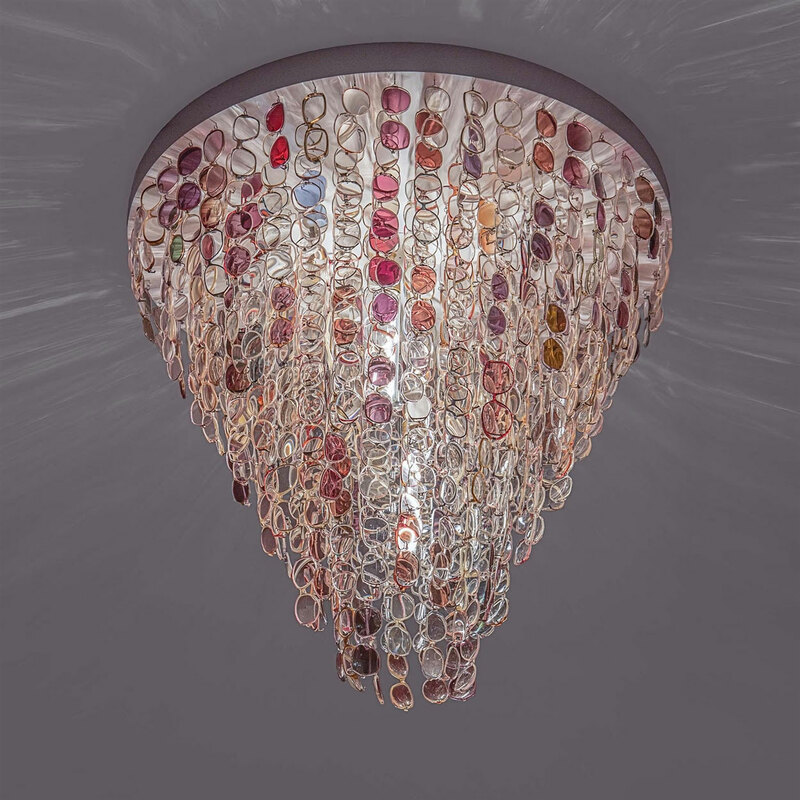 Thousands of cheap trinkets purchased at pound shops find new life as an illuminating flying saucer (UFO, 2009), used glass vials are revived as an Art Deco styled chandelier (Tools of the Trade, 2015), and heaps of plastic debris that Haygarth found washed ashore during a 450-mile coastal walk in the south of England are used to create a suspended sculpture of explosive visual power (Strand, 2012). Pieces like these exemplify Haygarth’s painstaking process and unbound creativity but also underline his ability to construct narratives about time, loss, abandonment and modernity, underpinned by themes of redemption and transformation. Yatzer caught up with Haygarth to discuss his burgeoning artistic practice, his fascination with everyday objects and his passion for collecting. 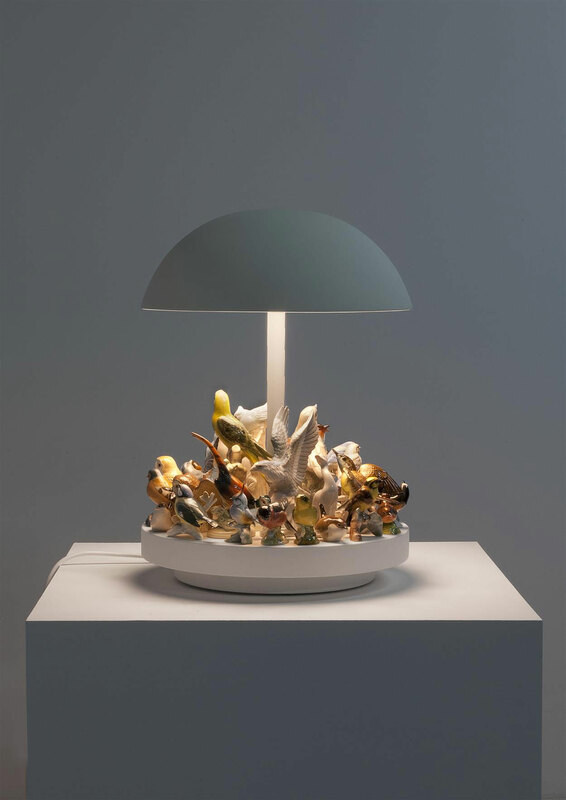 Stuart Haygarth, Island, 2016. 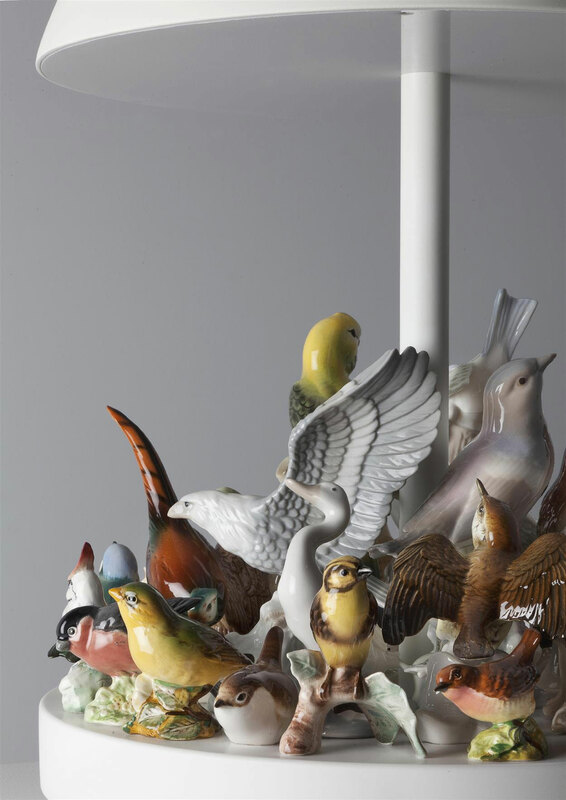 Corian, Spun Metal Shade and Ceramic Birds Figurines. Photo courtesy Carpenters Workshop Gallery. 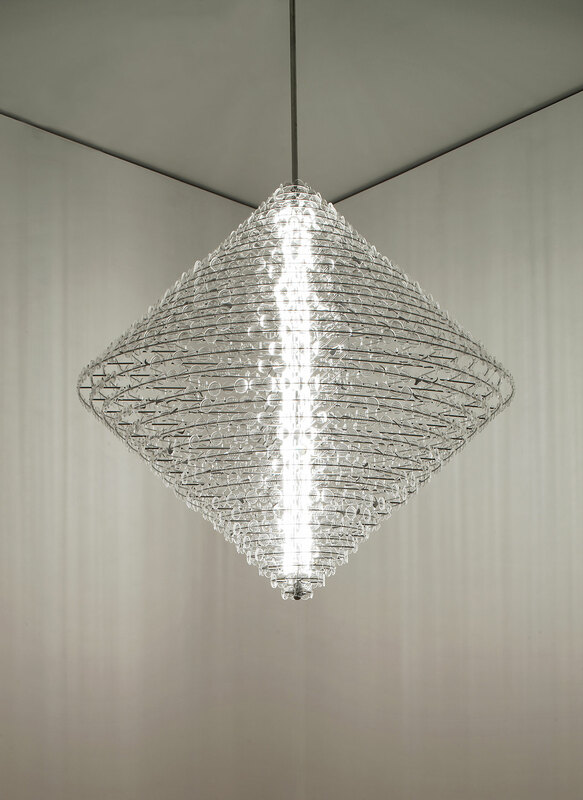 Stuart Haygarth, Spectacle Chandelier (Mk.2), 2014. Painted platform, plastic framed spectacles. Photo courtesy Carpenters Workshop Gallery. Collecting is a pivotal part of your work process. How did this come about? Were you always an ardent collector and if so of what? Even when I was a small boy I apparently always walked looking downwards and would constantly pick things up from the ground that interested me. Later in life (after art school) I became an illustrator for 15 years and continued my collecting habit. My illustrations were collage based and I utilised both 2D printed material and 3D objects to help tell a story. I built up a vast collection/archive of objects which were either found or bought at flea markets and car boot sales. 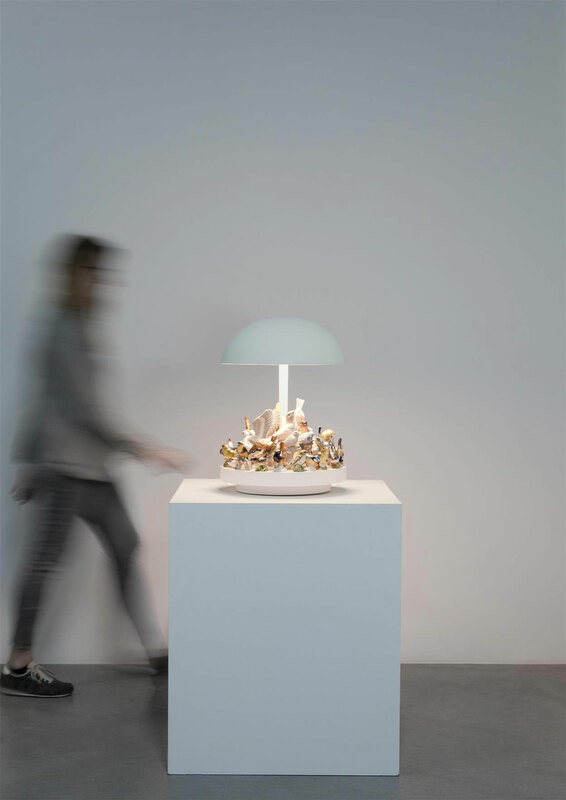 Do you design every detail in advance or do you experiment as you assemble each sculpture? I always initially sketch my ideas, which is very much a thought process which I put down on paper. When I’m happy with the sketch and I have worked out the practical fabrication part of how the piece will be built then I go straight in to the assembly. Depending on the project, I also make scale models to help the creative process. 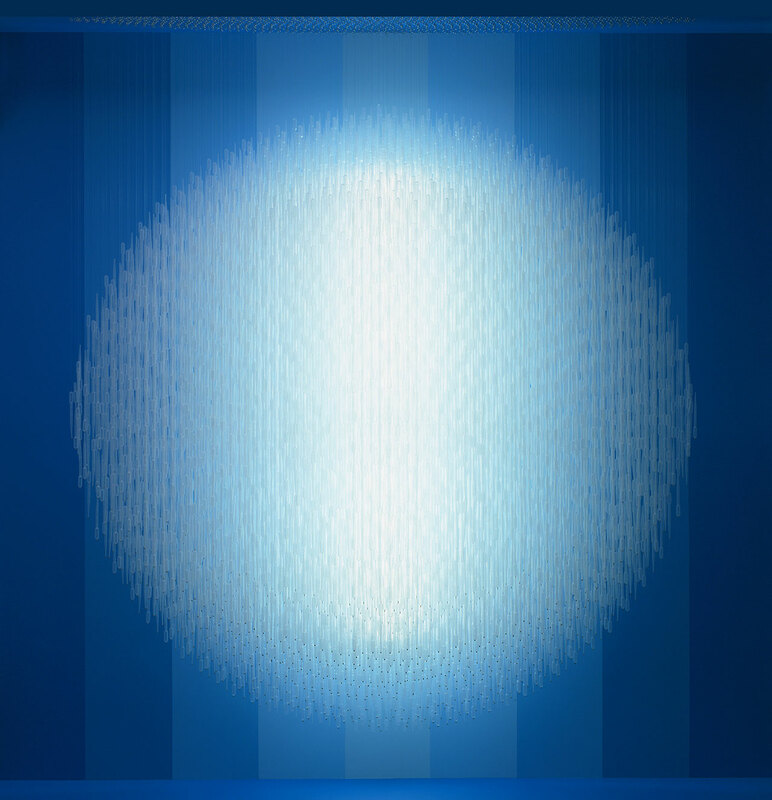 Stuart Haygarth, Tide (clear), 2011. Colourless plastic objects collected from the beaches in the UK, monofilament line. Photo courtesy Carpenters Workshop Gallery. 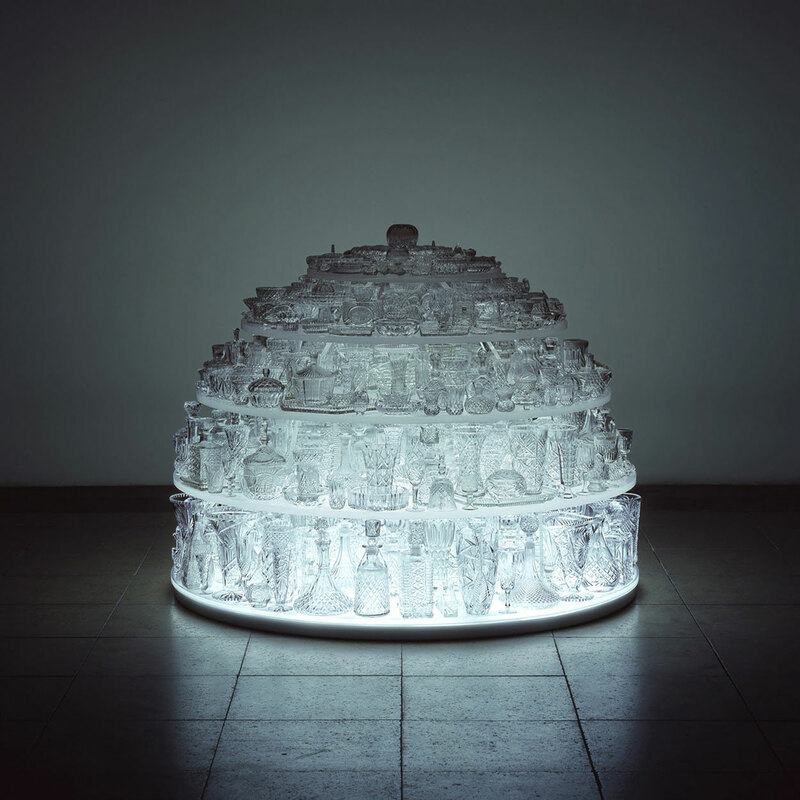 Stuart Haygarth, Igloo, 2011. LED lighting, clear crystal glassware, Perspex. Photo courtesy Carpenters Workshop Gallery. Are your designs usually inspired by the objects you have found or does the concept dictate the materials? The designs and concept are always governed by the objects I find or source. The objects definitely lead the way and govern how the work is put together and structured. Symmetry and order are central tenets of your work. Is this more of a conceptual or aesthetic stance? My main interest is the human association to the objects and the story they tell. My goal is to give the objects a new life and for the viewer to interpret them in a different way. I also seem compelled to create order from the chaos. 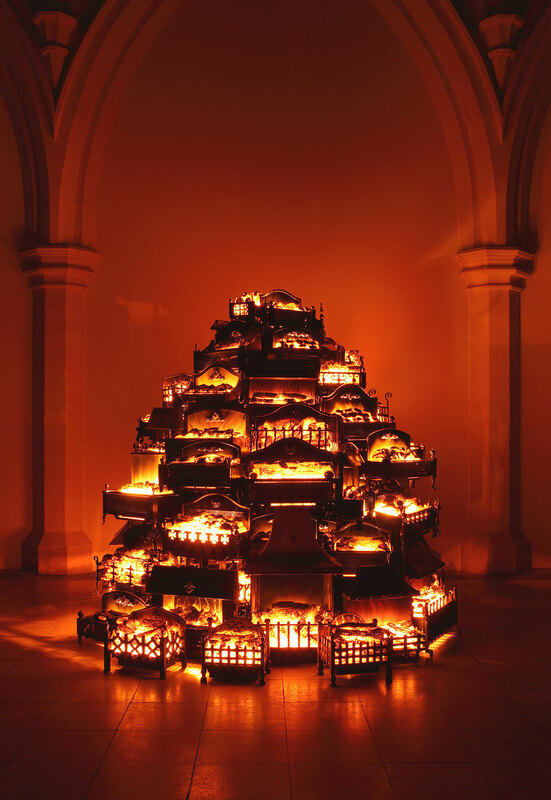 Stuart Haygarth, Pyre, 2006. 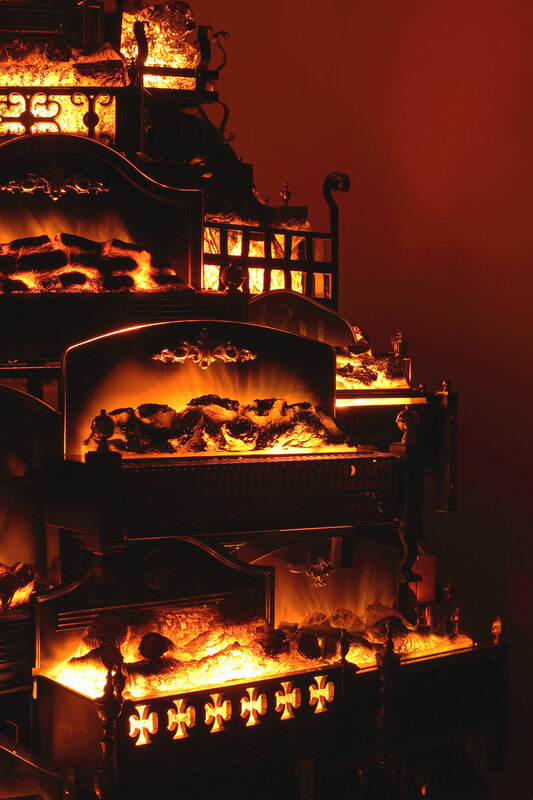 Kee Klamp steel framework, timber base and 70 vintage electric log effect fires. Created for the exhibition ‘Day Dreaming With Stanley Kubrick’ held at Somerset House, London. Photo courtesy of the artist. 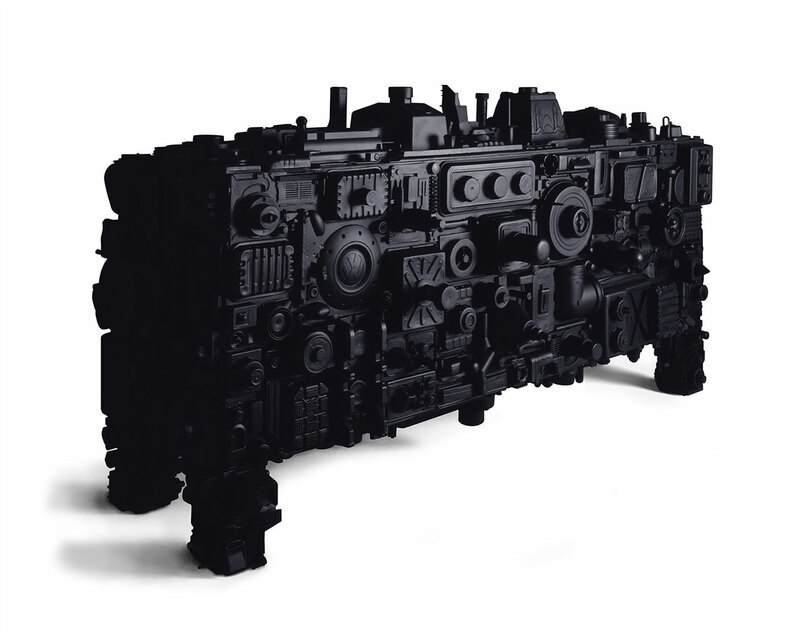 Stuart Haygarth, Barnacle (Black), 2009. Black polyester resin, steel, painted MDF. Photo courtesy Carpenters Workshop Gallery. You tend to prefer monochromatic designs in your work. Is this a purely aesthetic choice? Colour is very important to my work and often through the process of taxonomy colours are isolated. This is another way of creating order and categorising objects by colour or function. 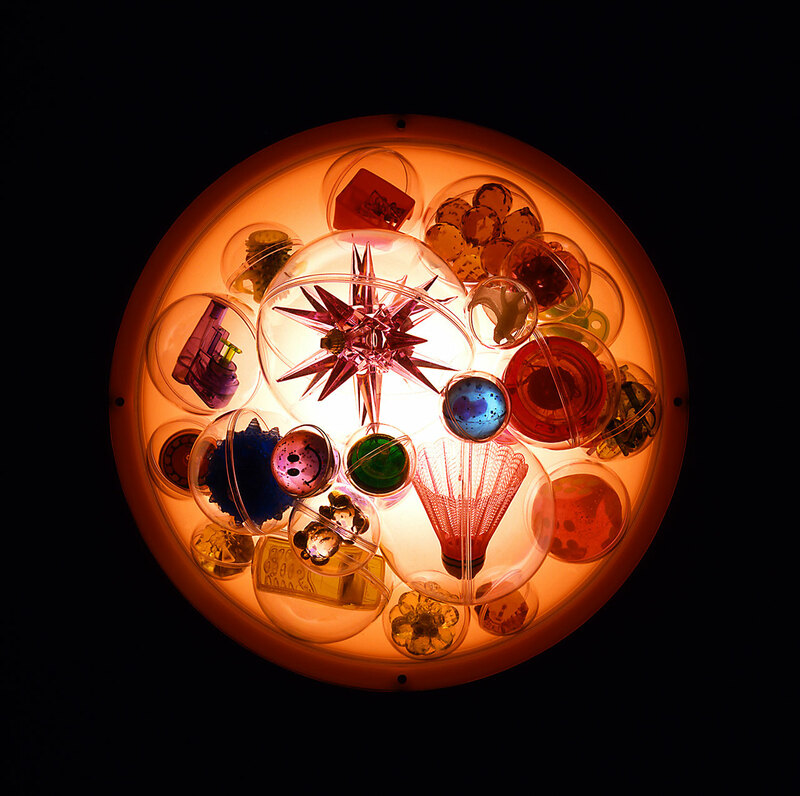 The Tide chandelier (2005) is created from a plethora of different coloured plastic objects but the categorisation part of the piece is the fact that the objects are all plastic and collected from the UK coastline. 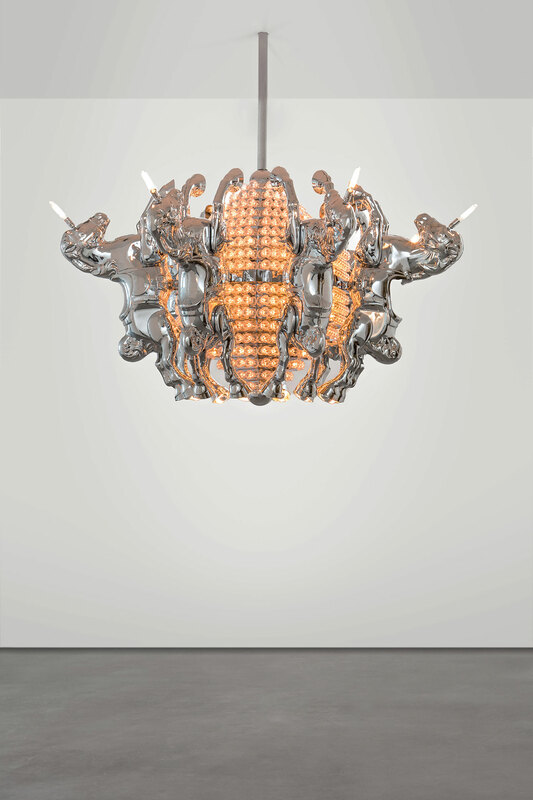 Many of your sculptures take the form of chandeliers or incorporate lighting sources. Where does your fascination with light originate from? I studied photography and graphic design at art school and my main focus was studio photography. In the studio I was interested in creating an atmosphere using studio lighting and how light reacted or transmitted through different materials. It is this knowledge that was later reflected in my current work. 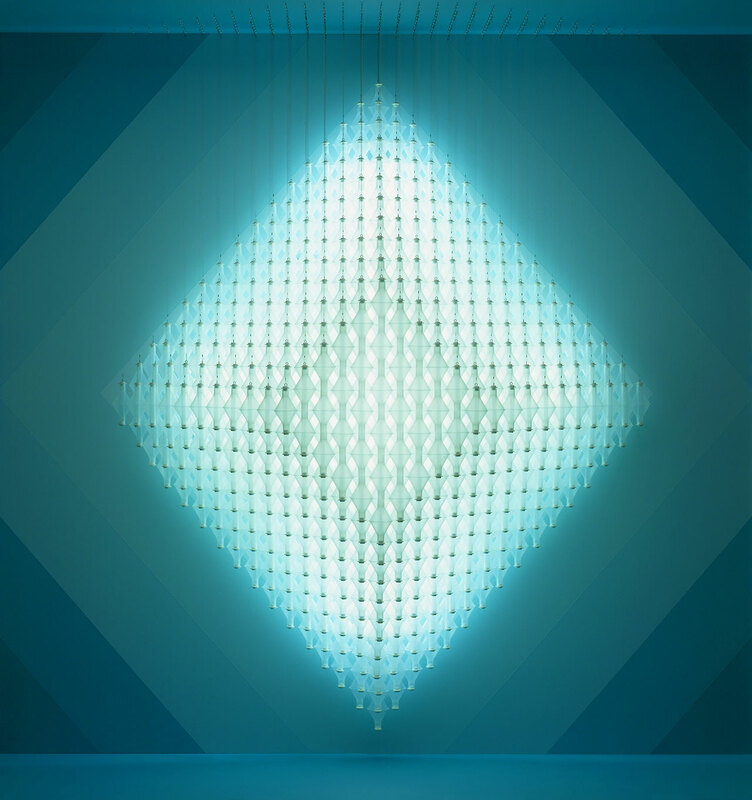 Stuart Haygarth, Aladdin (1282mm), 2006. Vintage glassware, painted MDF light box with fluorescent tubes & toughened glass vitrine. Series of 8 monochromatic vitrines. Photo courtesy Carpenters Workshop Gallery. 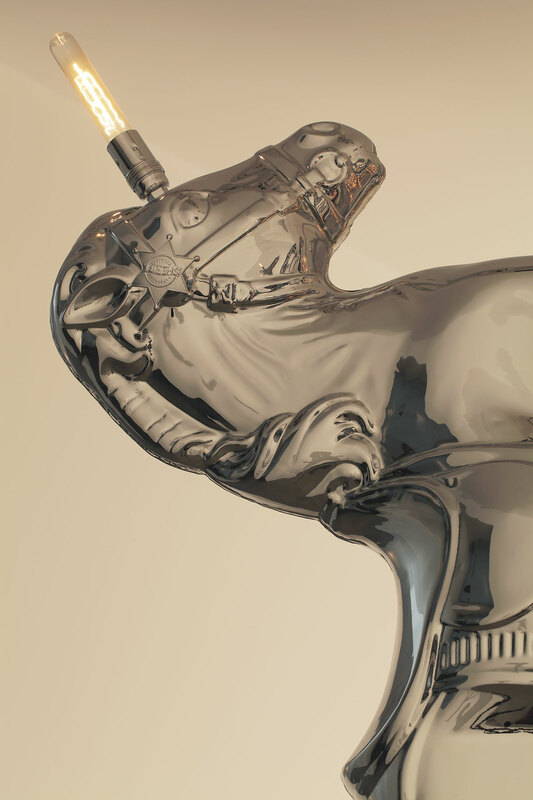 Stuart Haygarth, Raft (dogs), 2009. 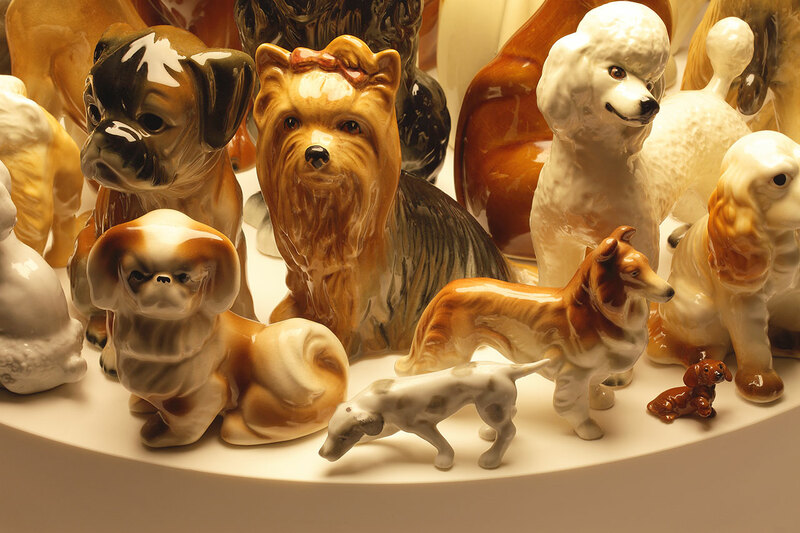 Corian, spun metal shade and dog figurines. Photo courtesy of the artist. 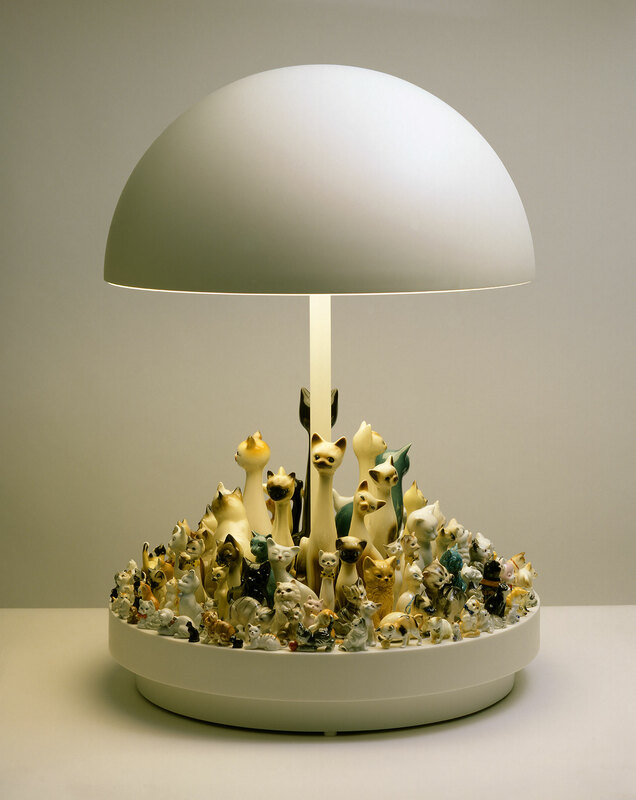 Stuart Haygarth, Raft (cats), 2009. 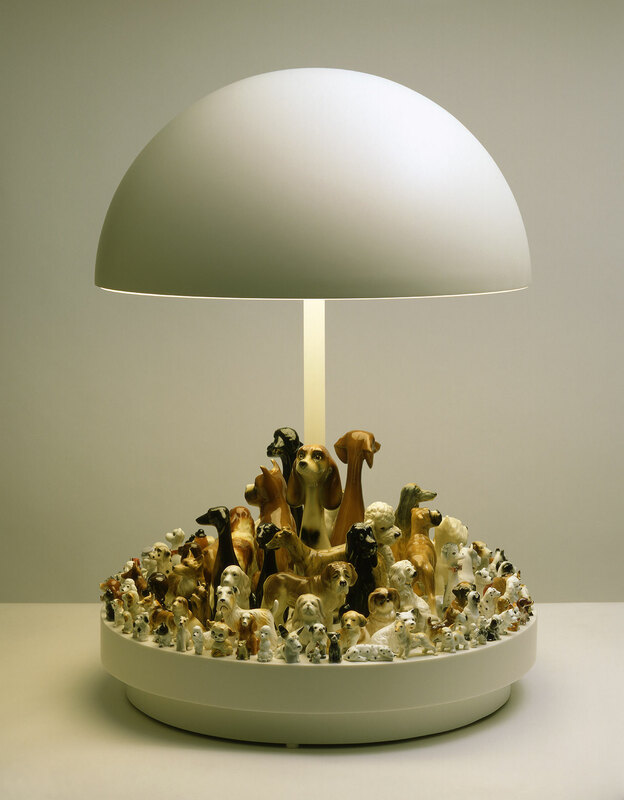 Corian, spun metal shade and dog figurines. Photo courtesy of the artist. Several of your pieces are made from discarded objects washed ashore which you have single-handedly salvaged, cleaned up and collated. How painstaking is this process and what is the motivation behind it? My beach combing started around the year 2000 when I would drive from London to the Kent coast to take my dog Albert for coastal walks. I began to collect interesting objects that I found, and over time I would begin to sort through the objects and create categories. Eventually I built up a large archive of objects and started to make my first pieces, such as Tide Mark, Tide and Lighthouse. It obviously takes a lot of time to find objects of interest and then there is much time spent scraping, cutting and meticulously washing - I beautify the objects before they pass quality control and can be used in a work. I spend weeks walking the south coast and sleep in my motorhome which is a converted military truck. 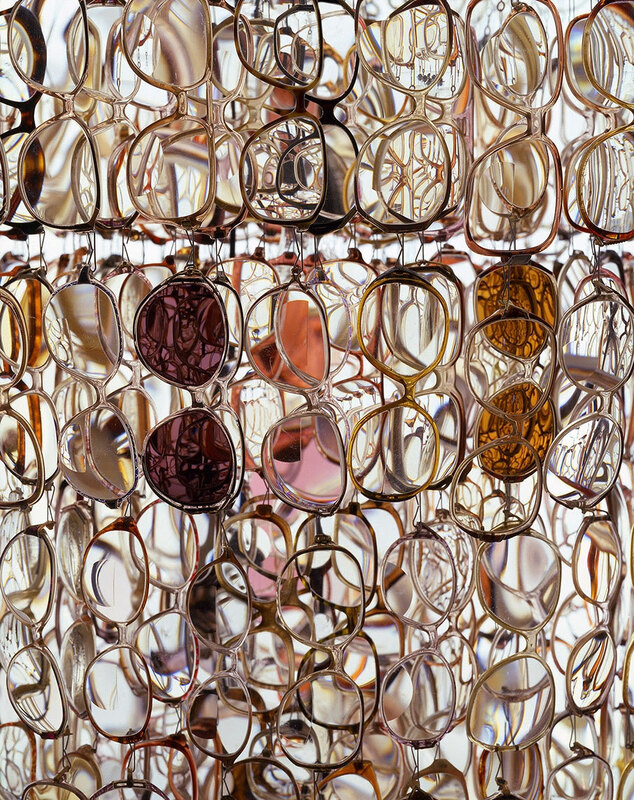 Stuart Haygarth, Prairie King, 2014. Vintage metal rocking horses, chromed aluminium, cabachon fairground lights. Photo courtesy of the artist. Stuart Haygarth, Tools of the Trade (funnels), 2015. Glass and plastic laboratory equipment. MDF panels, fluorescent tubing. Photo courtesy of the artist. 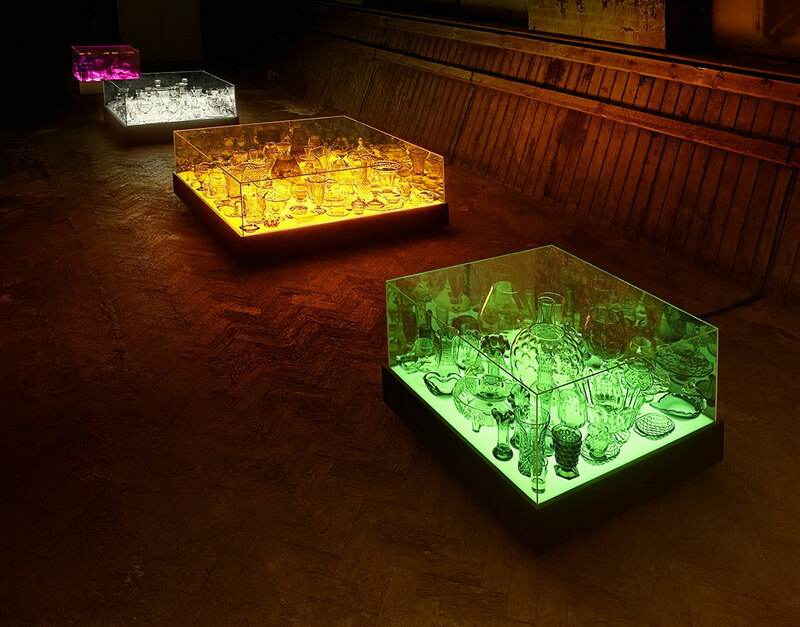 Stuart Haygarth, Tools of the Trade (pipettes), 2015. Glass and plastic laboratory equipment. MDF panels, fluorescent tubing. Series of six light installations. Photo courtesy of the artist. 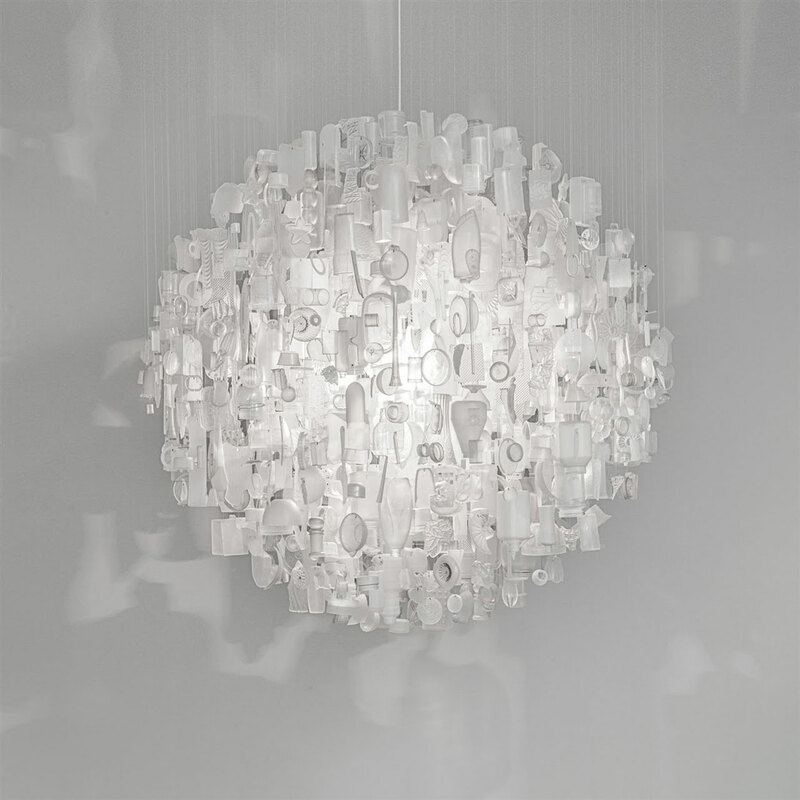 Stuart Haygarth, Magoo, 2009. 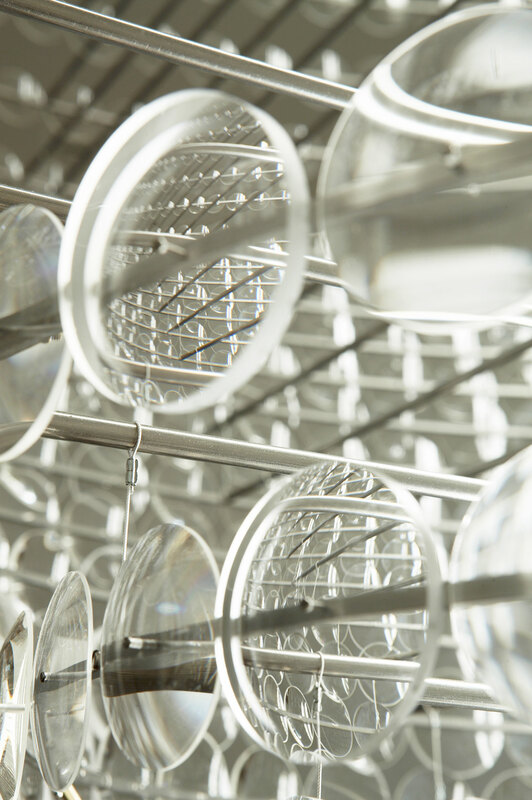 Clear uncut lenses, stainless steel framework, micro cable, architectural tubes. Named after the iconic 1950’s cartoon character Mister Magoo. Photo courtesy of the artist. You have talked about the concept of ‘Play’ as a vehicle for creativity. What do you mean? For many visual artists the most rewarding time in the studio is the time without any pressure or deadlines and one is left to play and try out ideas, similar to the freedom children have to play. This freedom of play is a vehicle for creativity because there are no barriers or inhibitions. How does your background in photography inform your artistic practice? Refer to my answer in No.6, but also my work is graphic and often involves shapes such as circles or triangles which again refers to my practice of creating order from chaos. I have just completed a Tide piece for an exhibition called Dysfunctional during the upcoming Venice Biennale and a hanging sculpture (created from black plastic objects) for a new Dover Street Market fashion store in LA. 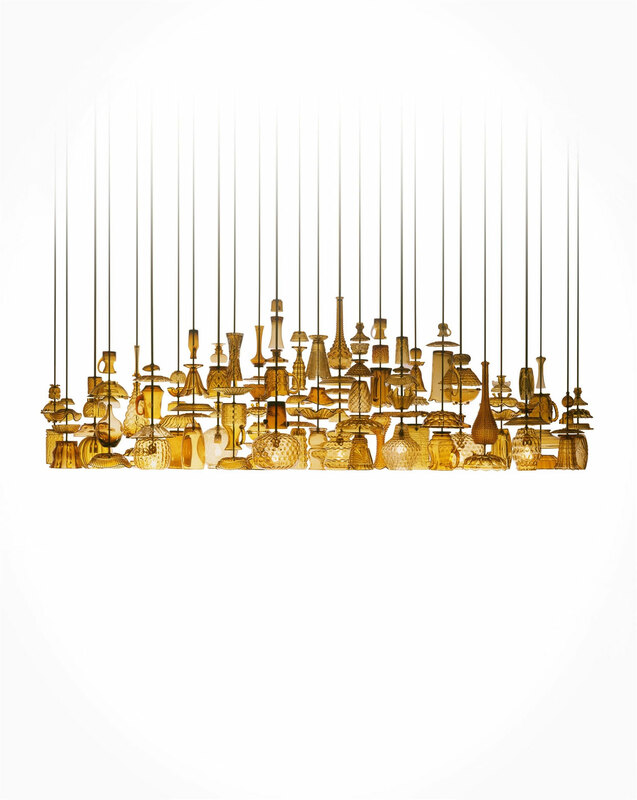 I’m also in the process of designing a light installation created from around 300 pieces of vintage amber glassware, which will hang above a bar in New York. 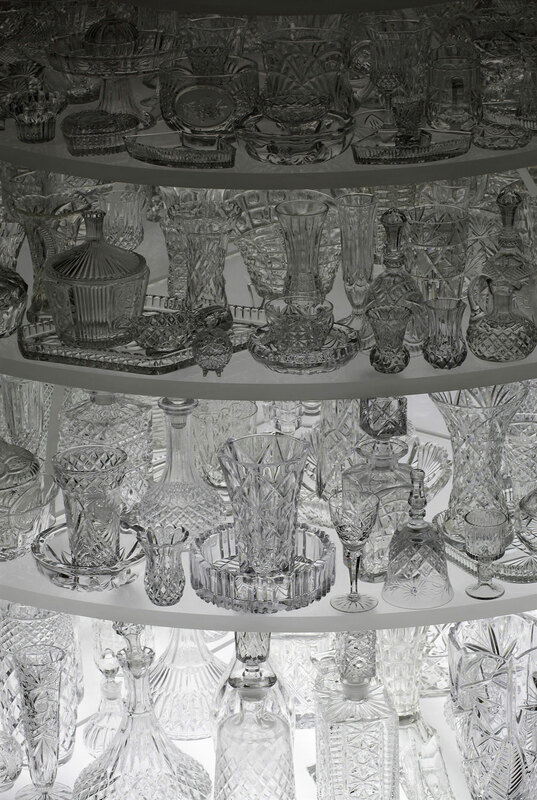 Stuart Haygarth, Gift, 2007. Acrylic semi-spheres, random clear plastic objects. 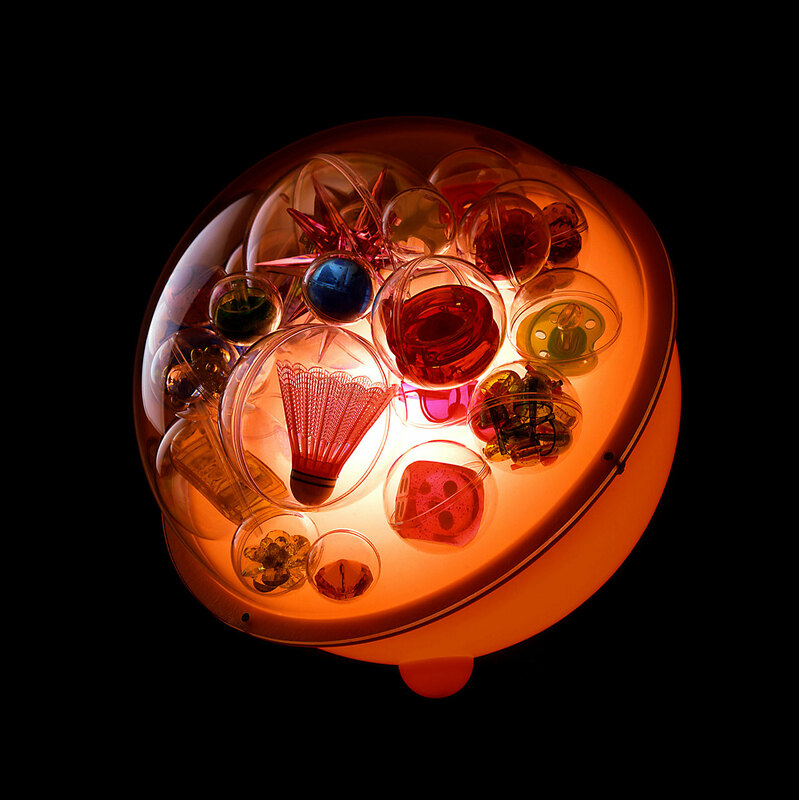 A children’s night light commissioned by Vogue Nippon and auctioned for the benefit of UNICEF. Photo courtesy of the artist. 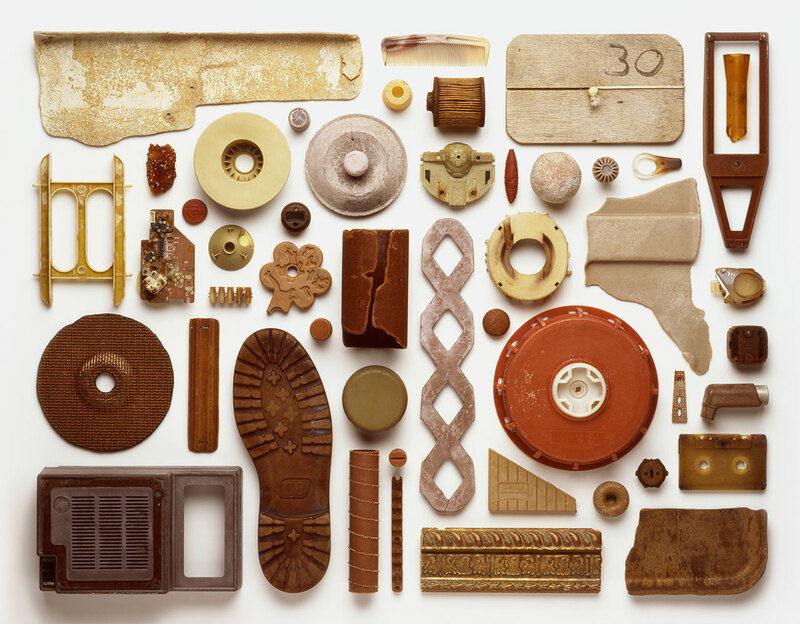 Stuart Haygarth, Strand (components), 2012. 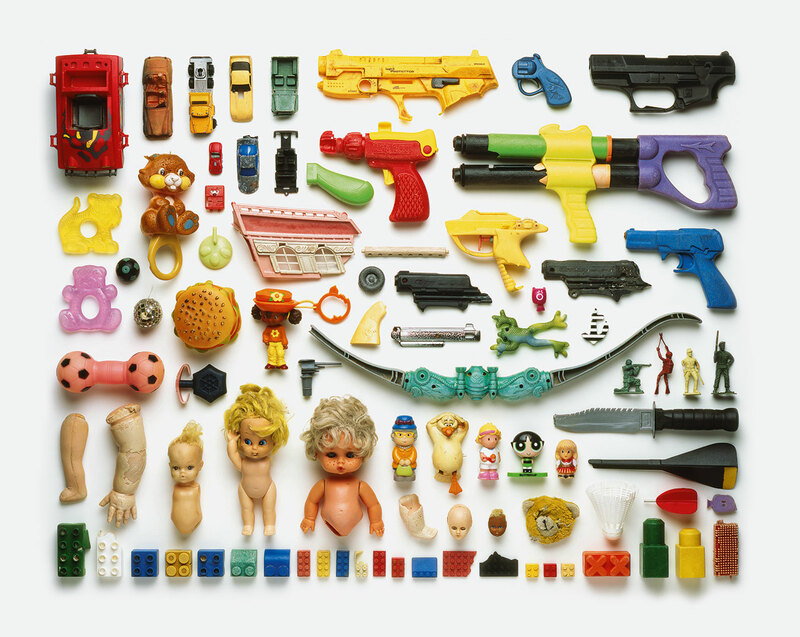 Made from man-made objects washed ashore and collected by the artist. Commissioned by University College London Hospitals for permanent display at the new UCH Macmillan Cancer Centre in London.